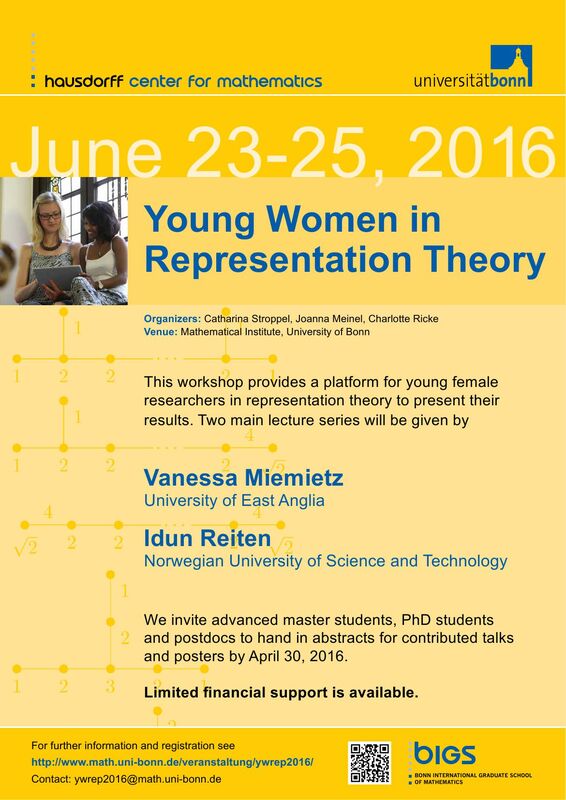 The workshop provides a platform for female advanced Master students, PhD students and Postdocs in representation theory to present their research. The main lectures will be complemented by contributed talks, a poster exhibition and ample time for discussion. All talks will be open to the public, and everybody is welcome to attend.